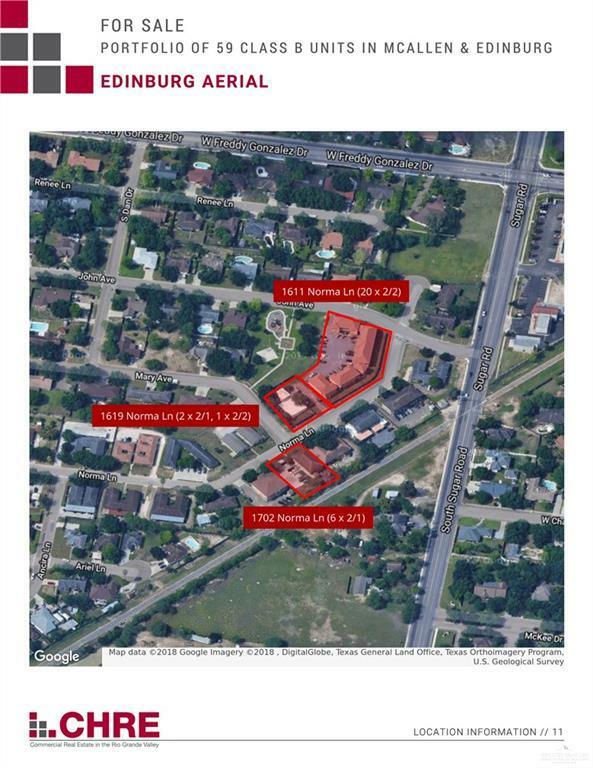 Please download the property offering memorandum at http://properties.chopkinsrealestate.com/402479-saleThis portfolio consists of twelve freestanding buildings divided among six properties located in two of the most prominent cities in the Rio Grande Valley. 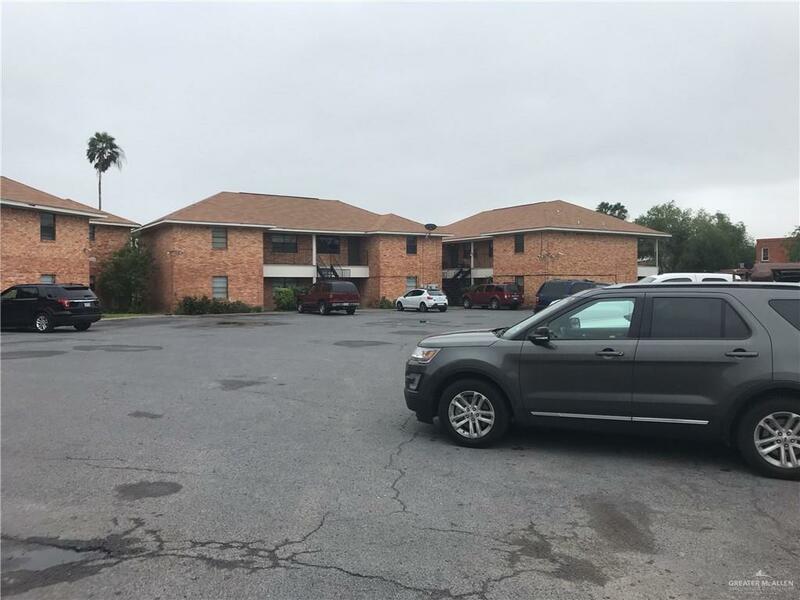 There are 29 multifamily units in Edinburg and 30 in McAllen, for a total of 59 units that together make up 52,229 square feet of leasable space. The largest of the Edinburg properties, 1611 Norma, was completed in 1974 and consists of 20 2 bedroom, 2 baths, making up a third of the entire portfolio. 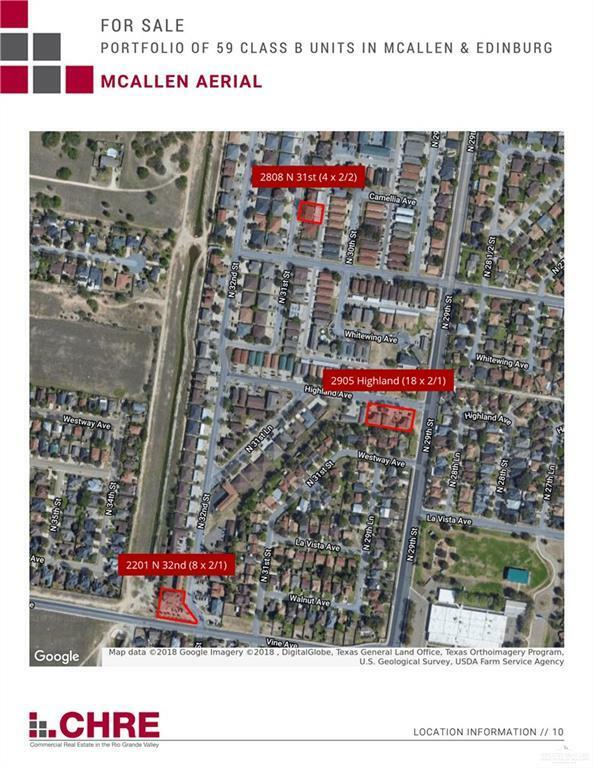 The largest of the McAllen properties, 2901 - 2909 Highland Ave, was completed in 1980 and consists of 18 2 bedroom, 1 bath and also makes up about a third of the entire portfolio. The other 19 apartment units are located within a quarter mile of each of these central hubs, making for efficient management operations. All together, the portfolio commanded $383,000 in scheduled rent in 2017, and has some room for rental growth.